Toni Lynn Ferro-Cloutier is our host for this particular topic. There are good and bad people. There are good and bad teachers. There are good and bad schools. If it weren’t for the “fly by night” schools, targeting a portion of the populace who wanted to better themselves, legitimate colleges would never have begun to “think outside of the box”. The paradigm of learning on line or in the evening was foreign to conventional colleges. Our higher learning systems had been stymied and stuck in “caste” thinking. If you want to improve your life, go to college. However, we make no concessions for your work. Professors would lower your grade if you were absent or late for class. Trying to “work your way” through college became impossible. On line learning can be difficult. It is a visual learning medium. 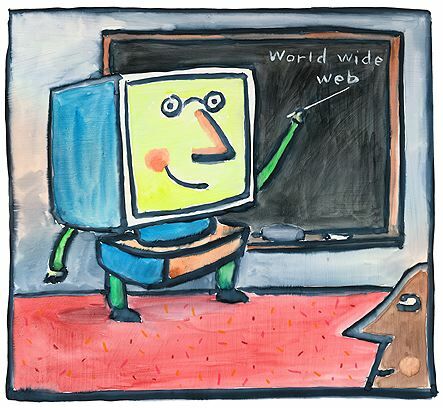 People learn in many different fashions and the on line visual medium isn’t the best for everyone. My own time going to college? I attempted part time evenings, after work at Northwestern Michigan College. I was a delivery driver for UPS, my grades were reduced for finishing my job. I argued with the college, that my job paid for the class, but they didn’t see things that way. Years later, I attended Davenport University. How times have changed! Part of our classes were exclusively on line, part in class with both solo work and collaboration. Most learning institutions have acknowledged that differing people learn in differing fashions. Their best recourse to garner new students and improve their ranking is to make certain all students learn to the best of their abilities.